Fuson's Findings | Southern Gospel Observations From the Mind of Brian Fuson…..
One Day In The Past is the latest project by The Down East Boys that releases on August 24th on Sonlite Records. Long time members lead singer/manager Ricky Carden and baritone Daryl Paschal are joined by two new members tenor Doug Pittman, formerly of the Dixie Melody Boys, and bass Zac Barham. The project kicks off with a nice mid tempo number, “That Would Be Amazing”, that is a perfect opening number to start out the project and I’m sure would be a great to start a concert too. The pace picks up a bit “Somebody Is Me“, which features lead singer Ricky Carden. I first became familiar with this song when it was recorded by Master’s Voice and it was not my favorite. However, I really enjoyed the DEB’s arrangement and performance. Next up is another mid tempo tune,”I’d Like To Tell It Again“, featuring Pittman. This song was not my favorite, I just could not get into it due to a repetitive chorus and some over-singing on the second verse by Pittman. Things slow down a bit with “Beat Up Bible“, which features Carden and is the first radio single from the project. Originally recorded by Country artists Little Big Town, the arrangement and performance of the song both translate very well. “Lord I Need You To Show Up” features Paschal and is one of my favorite songs on the project. It’s a great lyric, with the first verses recalling the account of Elijah and the Prophets of Baal on Mount Carmel and our present day need for God to show up in our lives in a mighty way. Another uptempo tune “Testimony Time” keeps things moving along. Written by the great Sandy Knight, the song features Barham, Paschal, and Carden on the verses respectively and is another one of my favorites on the project. Zac gets his feature on “Jesus Have Mercy On Me“. This great Joel Hemphill song (not Roger Horne as the liner notes mistakenly list) has long been a favorite of mine. The most well known cut of it was by George Younce and The Cathedrals on their Land Of Living project in 1987. Thankfully, unlike most bass singers in SG, Barham does not try to emulate Younce in his performance, but sings the song with his own style and interpretation, which I appreciated tremendously. I also enjoyed how the group changed up the harmonies on the second chorus opposed to the original. Every SG group needs to take notes, originality and infusing your own style on cover songs like this is very refreshing to the listener. 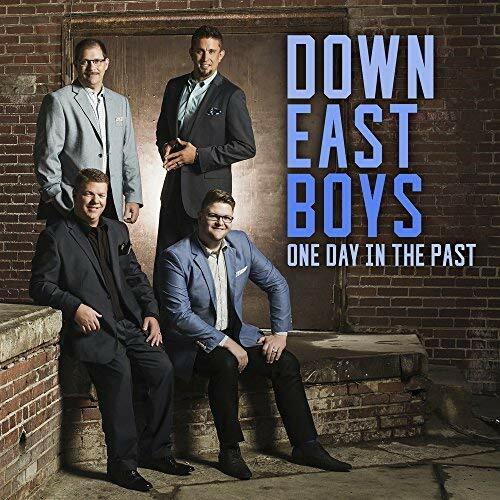 The Down East Boys have consistently been releasing great projects throughout the last decade and the trend continues on “One Day In The Past“. I’ve seen a couple 5 star reviews for this project and although it’s a good recording, I was not as impressed with a few songs on this project as opposed to their last cd, Ransomed, which was exceptional. However, its a solid project that both long time listeners or new fans will enjoy. Review copy provided by Crossroads Music. 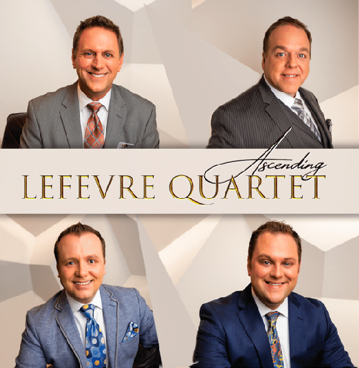 Ascending is the latest recording by The Lefevre Quartet, Produced by Wayne Haun, Ascending is the group’s debut release with Daywind on their New Day Label. Anchored by the father and son Mike & Jordan Lefevre, the group has recently found stability on tenor and bass. Jeremy Peace has been with the group 3 years and Keith Plott a year and a half. I’ve asked my good friend Brandon Coomer of Coomer’s Cove to do a joint review with me, since we have both been eagerly awaiting the release of this project. Brian: This is a great song to kickoff the recording, the song has a really driving feel. Jordan is featured on the verses and right off the bat, the listener will hear the great blend these guys possess. Brandon: I agree about the placement of this as the opening song. This song grabs your attention from the start. It would also be a great song to open concerts with. I also enjoy the arrangement at the end of the song. They go into a chorus and some of the backing intruments fall out, letting the drums drive the track. I was expecting Keith to come in with some step out lines or repeats, but that didn’t happen. They finish the chorus, the key raises, Jeremy takes the lead on a final chorus, and then Keith gets the repeats I was expecting on the previous chorus. I got the bass lines I was wanting to hear, but not the typical way. I appreciated that. Brian: A great rockin, uptempo song featuring Jordan, this one became a favorite of mine. Not really a style of song that I would expect to hear from The Lefevres, but very well done. Another potential single. Brandon: Is it me or has “Revival” became a popular song title over the last several years? Out of all the songs by that title, this one has become my favorite. I’m not surprised that this one is a favorite of Brian’s. This track has an almost Booth Brothers’ feel to it and I know he loves the Booth Brothers. Brian: This is a great song and I wouldn’t be shocked if this is sent to radio. Jordan LeFevre is developing into one of the finest young lead singers in Southern Gospel. This could very well be a signature song for him. Brandon: Without question, this song is my favorite on the project. I love the lyric “A payment of love was given in blood on a rugged old cross.” This finishes an opening trifecta of songs featuring Jordan and he sounds awesome on each of them. Brian: Mike Lefevre has long been one of the fan favorites in Southern Gospel and always seems to have a knack for interpreting ballads and painting a great picture for the listener. This is a great Heaven song that fans will enjoy hearing Mike sing. Brandon: I can see this replacing “To Say Goodbye” in the group’s nightly set list, which Mike currently introduces with a story about his mother and her passing. As Brian mentions, Mike can paint a picture with a song, and he puts an extra emotional punch on this one. Brian: One of, if not my absolute, favorite cuts; this one had me hitting the repeat button. It’s a great quartet song featuring Peace and some great harmonies on the chorus. Quartet lovers will dig this one. Brandon: From the kickoff to the end, this one has a modernized “Movin’ Up To Gloryland” feel to it. Brian: This is the first radio single, which features Jordan. Again, a departure stylistically from what the guys normally do and its fantastic. Brandon: Another great song featuring Jordan. This is a good choice for the radio single because it is very catchy and hangs with you after you hear it. Brian: This one features Jeremy and it’s a great song lyricially and musically. The arrangement really lets Peace shows off his range on this one. You might hit repeat on this one as well. Brandon: Jeremy is my favorite tenor so naturally, I love this song. For years, Jeremy’s features have been some of my favorite songs, and “Only Jesus” is right there with the best of them. There is a warmth to Jeremy’s vocal, especially in the opening verse, that fits this song beautifully. Brian: Bass singer Plott closes out the project with his lone feature and he does a great job on it. Keith is a great singer and a wonderful fit with the group. I really enjoyed this song. Brandon: Finally – a bass feature! This is a fun song and Keith sound great. My only concern here is that the arrangement would fit in just as much on a solo project as on a quartet project. Brandon: In all honesty, I’m not the biggest fan of producer/arranger Wayne Haun’s work. I find his work to sound too similar to his past work, no matter which artist he is working with. I was concerned when it was announced that he was working on this project, but I will admit that all of my concerns were misplaced. Yes, there might be a nod to other songs or arrangements, but even those sound fresh on Ascending. And I’m going to give him a lot of the credit for the development Jordan LeFevre shows. With Jordan being featured on four of the eight songs, Ascending was going to sink or swim on his performance. Jordan has never sounded better and this is a showcase of Jordan’s voice. Ascending is an extraordinary recording, I only wish there was more of it. With only eight songs, there is no filler here and I wouldn’t want to replace any of the songs. I do wish they had been able to add another feature for Keith that showcased his blend with the quartet. Still, Ascending is by far the best recording the LeFevre Quartet has ever made. This recording is an early front runner for the best project of 2018. Brian: Aside from the fact that there’s only 8 songs on this project, I love this album. Ascending is the best album released so far in 2018. The Lefevre Quartet have hit a home run on this project; the song selection, arrangements, and the performances themselves are excellent. As Brandon said, no filler here. This is a 5 Star recording. Ascending showcases a group that truly is ascending into the top tier of quartets in Southern Gospel This is undoubtedly their finest album so far and a must have for any Southern Gospel fan. If this lineup can stay together like Triumphant & Tribute, Ascending is only the beginning of the great things you can expect from The Lefevre Quartet. Be sure to pick up your copy of Ascending when it releases on April 27th. Earlier this morning legendary Gospel Music singer & songwriter Jim Hill passed away. The news was announced by a friend of Hill’s, Dean Hickman of The Guardians. Born in Pourtsmouth, Ohio, Hill got his start in Gospel Music in 1945, when he along with Harold Patrick and John Conley organized the Campmeeting Boys. Two years later in 1947, the group would add another member and change their name to The Golden Keys Quartet. Hill served the group as their tenor singer & manager. While with The Golden Keys, Hill wrote that would go to become a classic. “What A Day That Will Be” was written in the early 1950’s and has been printed in millions of songbooks. It would go on to bless the hearts of generations of believers. 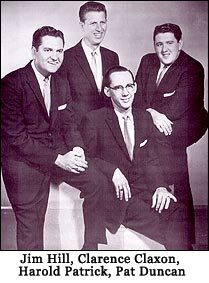 In 1965, Hill left The Golden Keys to join a household name in Gospel Music, The Stamps Quartet. 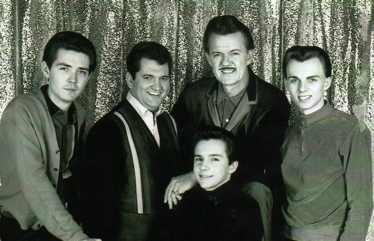 Hill remained with the group until 1968, and was a key member of the quartet during its transition of management to J.D. Sumner. 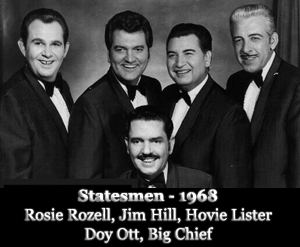 In 1968, Hill joined another one of Gospel Music’s top quartets, Hovie Lister & The Statesmen. However this time around, Hill would switch from singing tenor to lead. The Statesmen recorded some of their finest albums during Hill’s tenure with the group as Rosie Rozell & Sherill Nielsen both sang tenor with the group during those years. In his later years, Hill was a fixture of the Bill Gaither Homecoming Series and was prominently featured on many of the videos. He was also inducted in the Southern Gospel Music Association Hall of Fame in 2013. Jim Hill was not only an excellent songwriter, but a classicly trained vocalist. He had auditioned with several opera companies, but his passion was for Gospel Music and he made quite a mark on that industry. We offer our prayers and condolences to Hill’s family. Thank you Mr. Hill for a wonderful legacy that you left behind, your contributions to Gospel Music will never be forgotten. Here are a few selections of videos featuring some of Hill’s finest singing. One of my favorite Jim Hill songs that he wrote, “For God So Loved”, during his time with The Stamps. A recent video of Hill onstage with The Guardians & The Booth Brothers, singing his signature song. “What A Day That Will Be”. I would like to wish all my readers a Happy New Year! Its my prayer that 2018 will be a great one for you and that you’ll experience great blessings in the days to come. 2017 has been quite busy for me and 2018 looks to be quite the same. This summer, my wife and I found out that we are going to be parents for the first time! Our little girl, Charlotte Faye Fuson, is due to arrive in just less than 8 weeks and we are extremely excited. 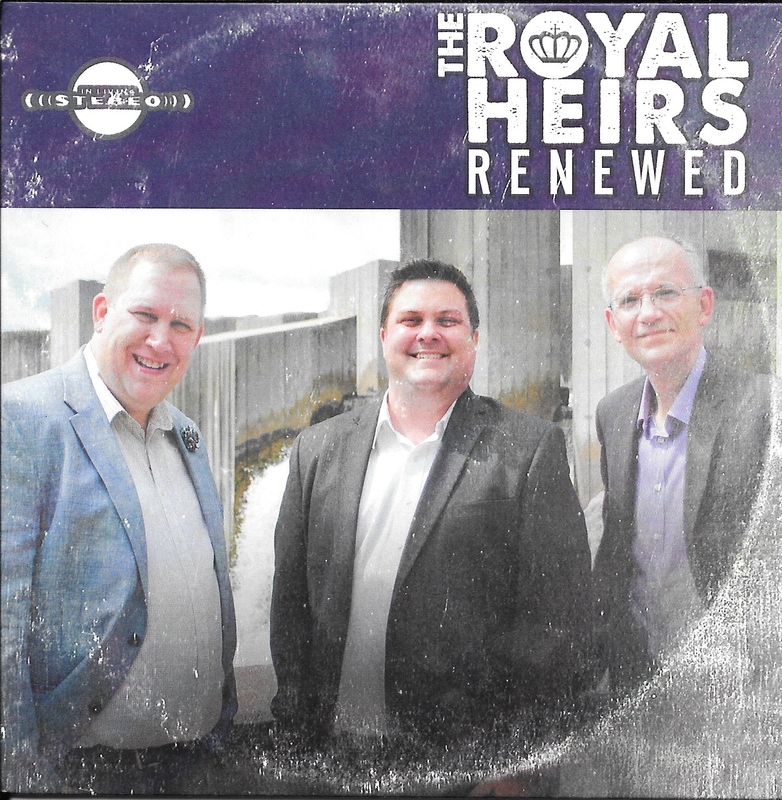 I’ve also been singing with a group here in Michigan, The Royalheirs. We’ve had a busy year, recording a new project and traveling throughout the state and we’re looking forward to doing more of the same this year. Check out our website and Facebook page to find out more about us! I’ve got quite a few things in the works here at the blog and I’m looking forward to posting some more Album Reviews shortly and from time to time, chiming in with more commentary pieces. No matter what I post here, my goal is to be honest, fair, and balanced. So stay tuned and I hope you enjoy the posts. I’ve made no secret down through the years how big of a fan I am of The Old Paths. When the group called it quits back in 2015, I was extremely disappointed. So when I heard the announcement early this year that the group would return, I was delighted. Founding members Tim Rackley & Douglas Roark are joined by bass Daniel Ashmore with tenor Steve Ladd joining the group. 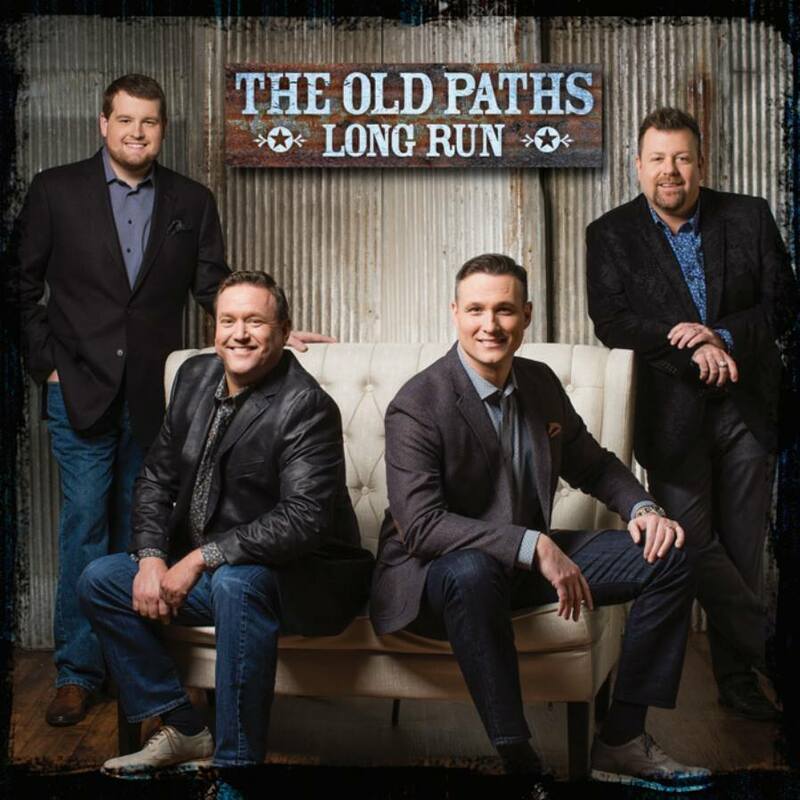 Long Run is Ladd’ s first recording with the group; it’s also the first Old Paths project to be produced by Jeff Collins. The project kicks off with a nice quartet number, “Peace Is On The Way“, a nice uptempo number written by Dianne Wilkinson. Right off the bat, you can tell the blend is perfect with Steve and it sets the stage for what the listener can expect. Up next is the title cut, “In The Long Run“, which features Rackley. It has a country feel, and the guys do a nice job on it. Steve Ladd is featured on the third track, “Broken People Like Me“. This is one of my favorite songs on the project; it sounds like it was written especially for Steve and the guys sound fantastic on it. Ladd is the perfect tenor for the group and this song is all the proof needed. “Tangled In The Middle” was the first radio single from the project, and its a group song for the most part, with Daniel Ashmore featured on the third verse of the song. Rackley is featured again again on a great ballad, “At The Name of Jesus“, written by Rebecca & Logan Peck. This song is a fantastic anthem, that I hope will be sent out as a radio single. The project comes to a close with a great uptempo tune, “My Everyday Life“, featuring Ashmore, Rackley, and Ladd on the verses. Although Long Run is an EP that only contains 6 songs, it sure does wet the appetite for more! There is so much potential for this group, they undoubtedly have an all star quartet that could accomplish alot. The blend is dynamite and the guys selected great songs for this project. With Ladd’s busy solo schedule, the group hasn’t done a whole lot of concerts this year and it’s not clear just how busy these guys will be. It’s my hope that this is not a one off release and that we will hear more from The Old Paths. Be sure to pick up a copy of Long Run and see for yourself! 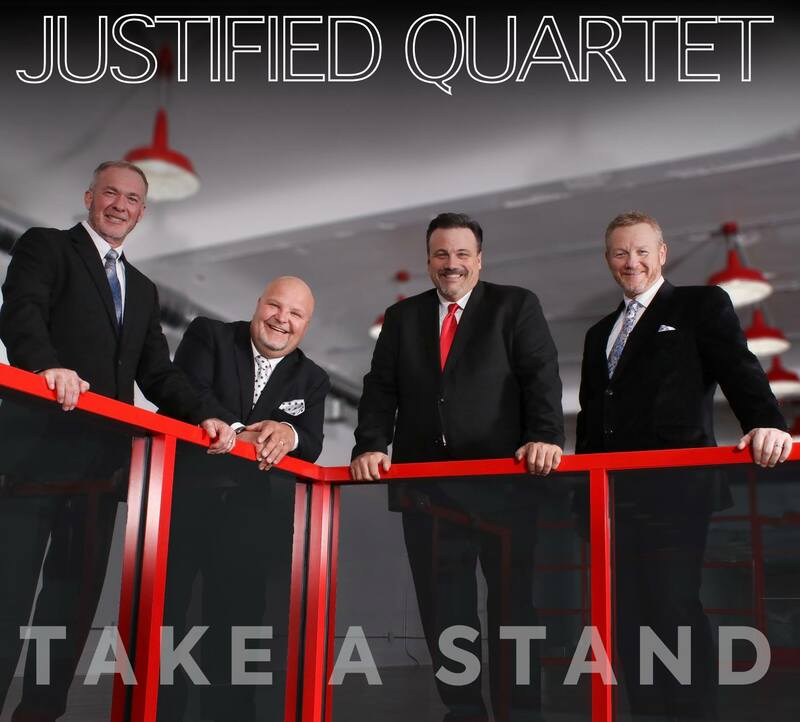 This past weekend was quite controversial in the Southern Gospel Community as the schedule for the 2018 National Quartet Convention was released. As has been the case the last several years, fans scoured the schedule looking to see when/if their favorite artists were on the schedule for Southern Gospel Music’s Premeire Event. There were quite a few names missing, but none bigger than The Booth Brothers. Voted Trio of the Year for the past 10 years consecutively by readers of The Singing News, it came as quite the shock to many fans that their favorite artist would not be part of the schedule. One post on Facebook concerning this topic received over 400 plus comments from fans, artists, and other industry leaders. Some expressed their disappointment, others voiced their frustration and accusations. As a fan I am a bit disappointed; the Booths are my favorite SG artists because musically they are unlike any current artists in our genre. However, things like this happen and seem to be happening more frequently in recent years. Other artists who will not be a part of NQC 2018 are The Collingsworth Family, Brian Free & Assurance, and The Browders to name a few. I want to try and be as fair and impartial in this post as I possibly can so I want to present both sides of the issue. For the organizers of the NQC, it is impossible to generate a program that will please everyone. There will always be fans complaining about artists who are not on the program, its part of the territory that comes with organizing an event. One board member, Mark Trammell, weighed in on the situation saying “Real truth…. REAL truth…. They (Booth Brothers) were invited. Not once, but twice. Real truth… Undeniable truth…. If you don’t see an artist on the schedule, don’t assume its the fault of the “board.” It might be that the “artist” just isn’t interested in spending the extra time away from home. They may have “outgrown” certain events. Or at least they think they have.” Now the board invites the artist, but the artist may reject the invitation. Maybe its not advantageous to them financially, maybe they just would rather stay home or they already have been booked elsewhere. I’m not saying thats the situation here because I do not know but those are usually the reasons given. But here’s what I do know, the groups who are getting featured the most at NQC happen to be the groups whose members are on the NQC Board of Directors (Greater Vision, Mark Trammell Quartet, Jim Brady Trio, Hoppers, Second Half Quartet). As a fan, when I see that the Booth Brothers are not on the main stage, but the Second Half Quartet has two slots, which is a secondary group with 3 members of Greater Vision and Trammell himself in the group, something doesn’t seem right to me. Certainly there are other artists who would benefit from time on the main stage (Master’s Voice, The Williamsons, just to name a few), yet the board has the authority to decide who goes on the main stage and they have made their decision. As consumers, we all have the right to voice our opinions about a product. Whether good or bad, we live in a free country with and we have the right to voice our opinions freely. Except if you’re a Southern Gospel Music fan on social media. Many artists and their family members took to the defense of the board, basically sending the message “if you don’t like it, don’t buy a ticket and stay home.” Certainly they have the right to voice their opinion as well, but the bottom line is this. These events are only gonna stay around as long as the fans do. No matter your opinion, alienating your fan base is never a good move. Politics always rears its ugly head and it ultimately never has a good result. For many fans, this is the first time they have witnessed the politics of the NQC Board on full display. Below is Trammell’s full post, which I believe is important to read in its entirety. Although Trammell may claim he was “not saying this on behalf of the NQC board of directors”, he is a member of the board of directors and his statement is very telling of a/the board members attitude towards the fans, the ones who financially & physically support this event. This is not the first instance of an artist telling a fan, “If you don’t like it, don’t come.“, and it won’t be the last. I agree that some comments were made in a negative, possibly hateful manner. Criticism that is not constructive is just complaining. However, if you are paying for a product you should not be shamed because you voiced your opinion/displeasure with the product. Will the board listen? Do they care about the fans opinions? Obviously they are hearing the negativity but they do not seem to be interested. So this begs a question. As a fan, why should I continue to support an event where my opinion is not valued? There are so many other things that a person can do with their time instead of paying for traveling expenses, accommodations, meals, NQC event tickets, and product from their favorite artists. In fact, staying home and not attending (and now buying the webcast) could save families quite a bit of money. Perhaps, the board of directors should think about that as well. Regardless of who is or is not there, NQC will go on. In my opinion, there is an understanding that must take place with both NQC and the fans. The Board/shareholders need to understand that their event’s existence is not guaranteed, fans do have a choice of where they can spend their money and they may choose not to support NQC in 2018 or beyond. Continuing down the current path of apathy towards public opinion is not wise. Not everyone is right, but someone might just be. For the fans however, they need to understand that the board runs the show. They’re gonna do what they want and if the fans really want their opinions taken seriously, they might need to take a year off to send a message to leadership. The board might have to change course if attendance drops dramatically. Change needs to happen and the sooner it doesn, the brighter the future for NQC. You don’t have to agree, It’s Just My Opinion.